Homework is an important part of the learning process that every student must take part in. Going back to school in August can be a hectic time, but if you establish routines and expectations for your child early on, he/she will begin to take responsibility for and ownership of his/her own education. 1. Talk with your child about the importance of Homework. Homework should be designed to help your child practice previously learned skills at home. Let your child know that you expect him/her to complete homework each night. Let your child know that you are there to provide guidance, but NOT to complete his/her work! 2. Think about your family schedule. When would be the best time for your child to sit down and complete homework each night? The sooner you make Homework into a routine, (just like football practice or dance class each Tuesday at 5:00), your child will learn to see Homework time just as any other activity. Whatever time you decide on, make sure that the TV is off and your child has a quiet, well-lit homework area. 3. Talk with your child's teacher about his/her expectations for homework. 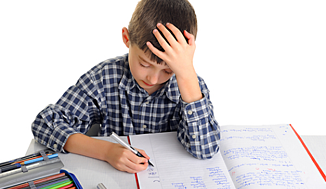 Once homework is given, divide each task into portions that your child can complete in a timely manner. Younger students should not sit for longer than 10-15 minutes at a time. 4. Make sure that your child has the necessary tools for completing homework. These tools may include pencils, crayons, markers, paper, scissors, glue, etc. Math manipulatives, such as dry beans, coins, etc. can be used to help your child in counting, addition, and subtraction. 5. Read with your child! Have your child read TO you, and WITH you. Also, spend time just reading TO your child.